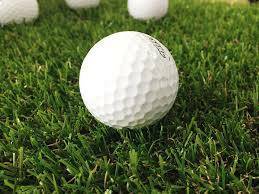 GALION — The Galion Tigers golf team welcomed Buckeye Valley to Sycamore Creek for a Mid-Ohio Athletic Conference clash on Wednesday. Both squads braved the occasional rain, cool temperatures and wild winds to get the match in, but Galion handled the conditions best, winning 165-199. Galion improves to 9-0 overall and within the MOAC with the victory. Jack McElligott fired a 39 to lead the Tigers. Spencer Keller was right behind McElligott, recording a 40. Matthew McMullen and Mitch Dyer turned in 43s. Kaleb Harsh contributed a 48 on the day and Matt Kingseed shot a 49. Galion hopes to continue its undefeated march today at Mill Creek Golf Club in Ostrander vs. North Union. The Tigers will play in the Ontario Golf Invite at Twin Lakes on Friday. On Saturday, they travel to Eagle Creek for the Norwalk Invitational.